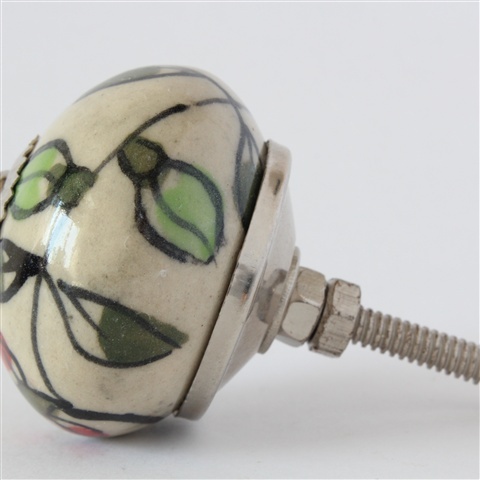 Back to bobbles with a sleek green. 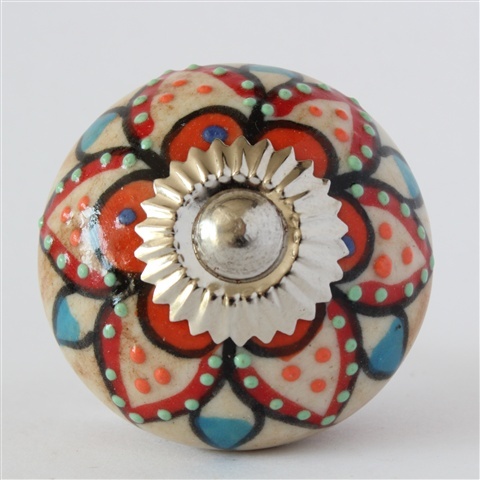 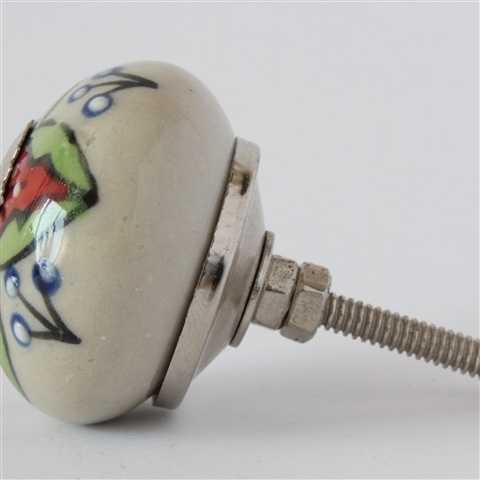 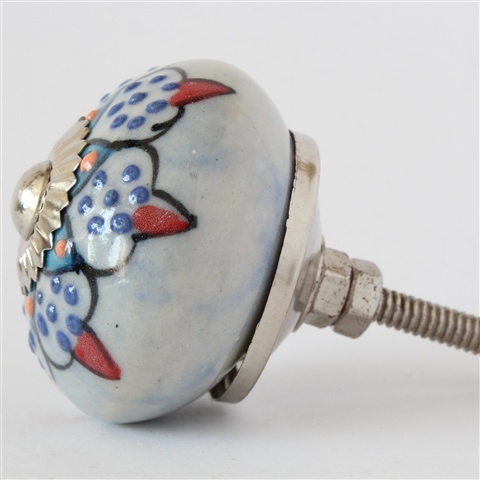 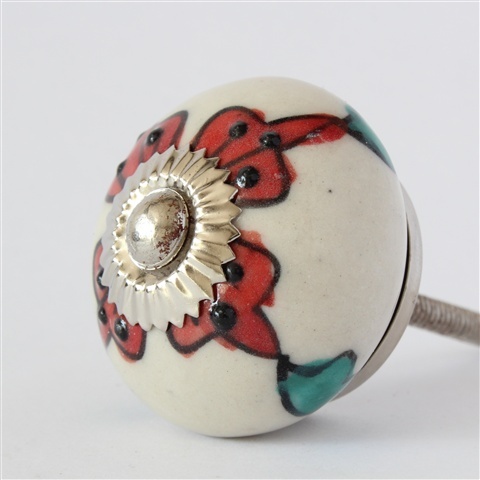 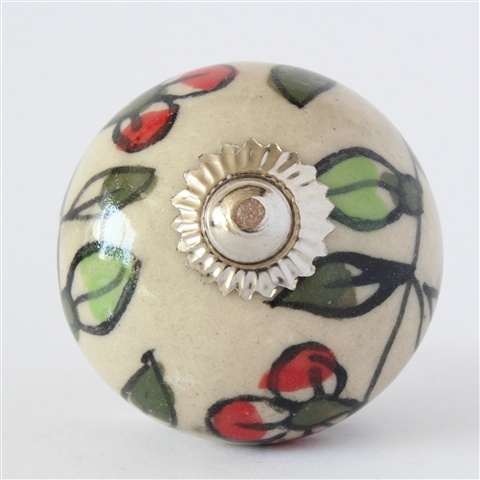 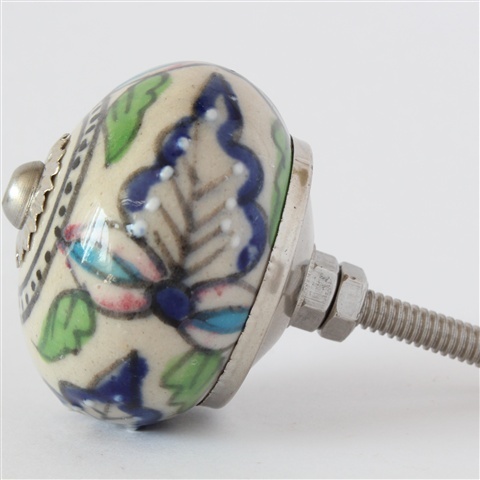 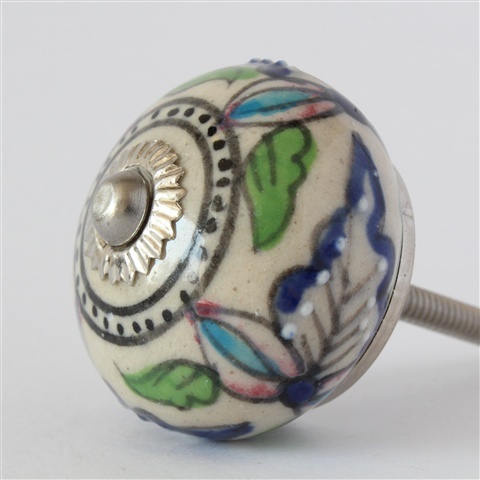 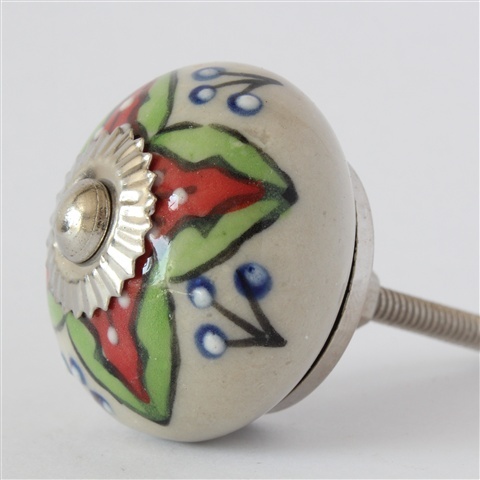 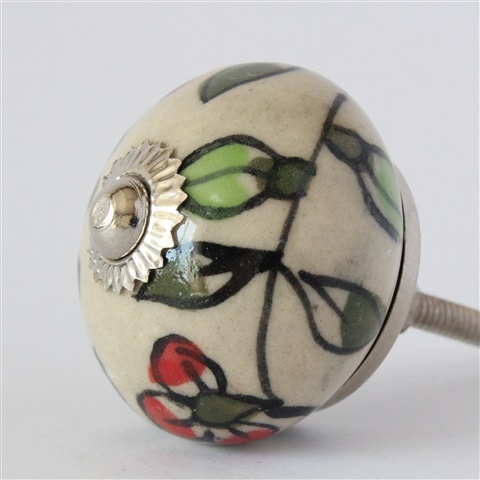 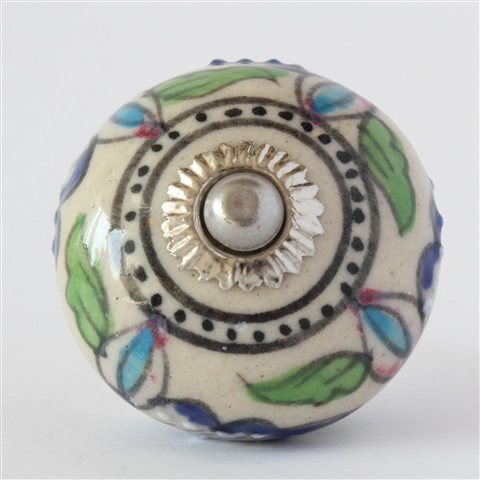 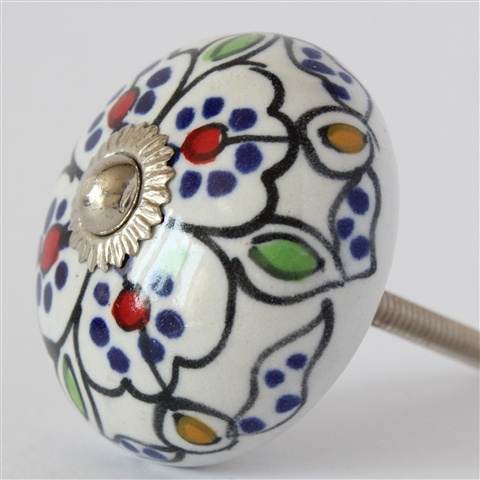 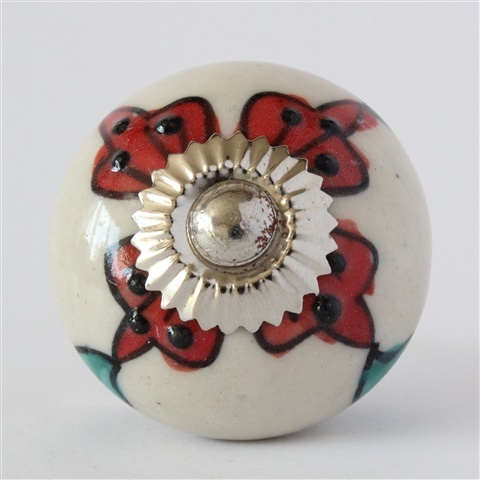 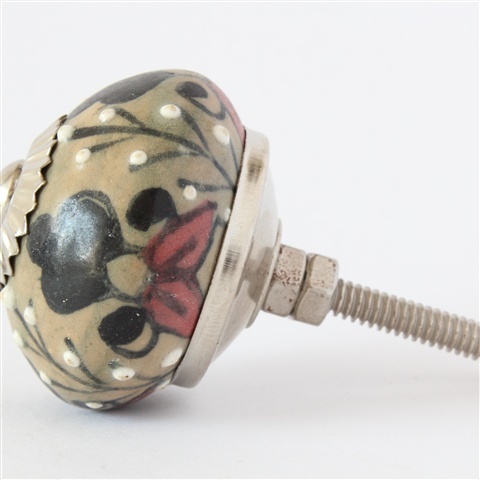 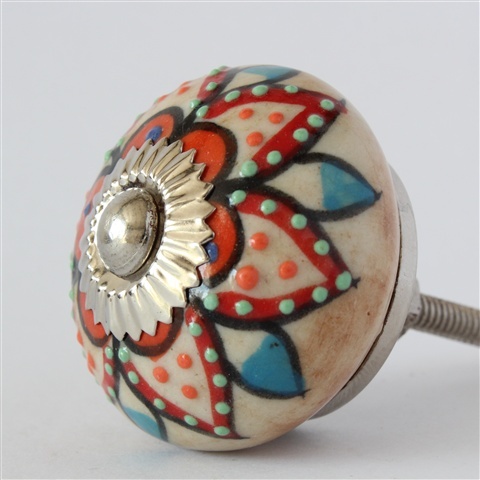 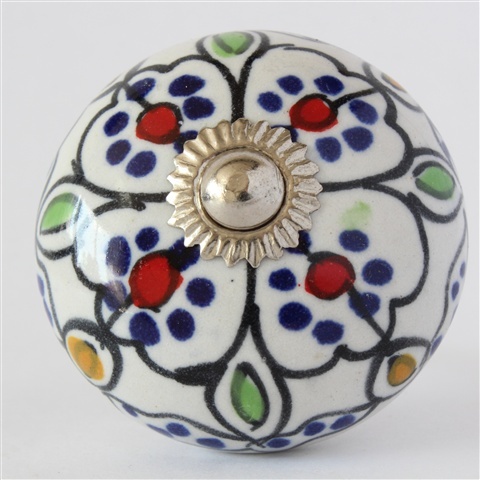 OMG It's one of the best sellers...the classic flower design...we have sold hundreds of this knob. 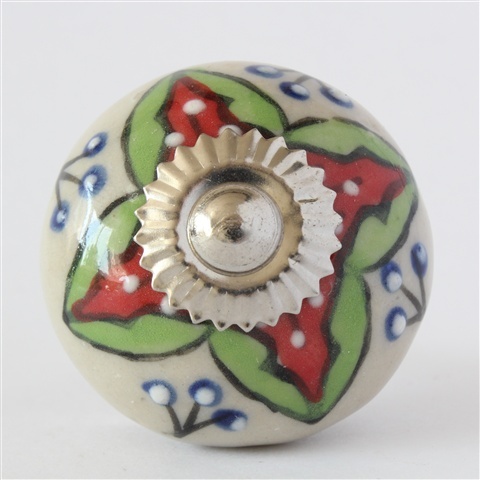 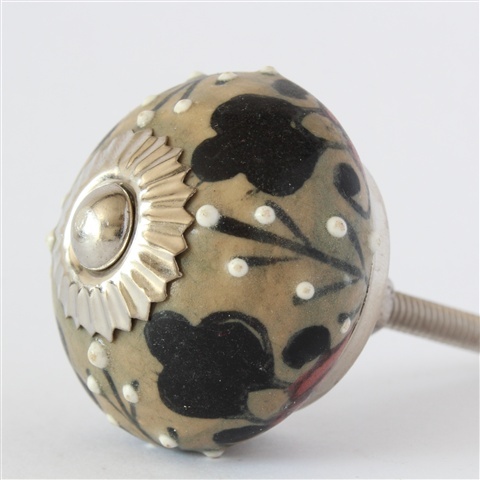 Another top knob, basically a variation on the classic flower. 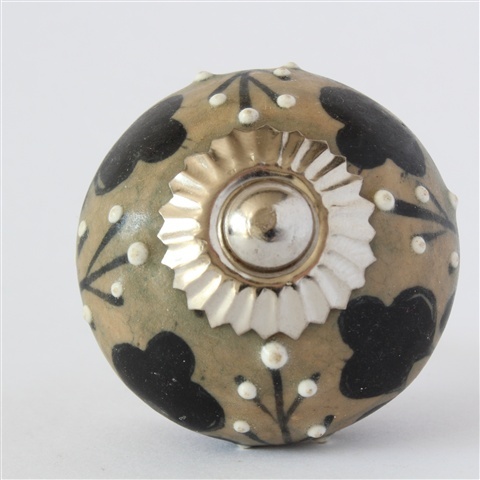 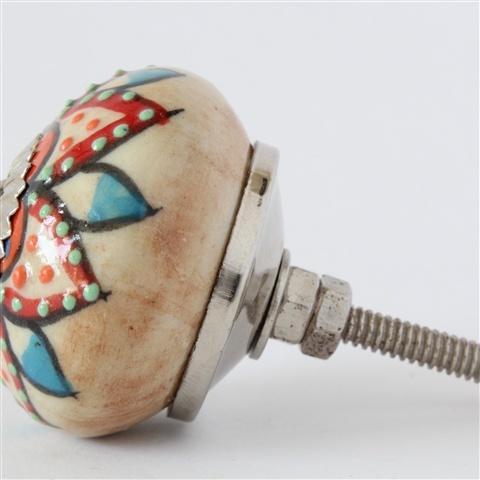 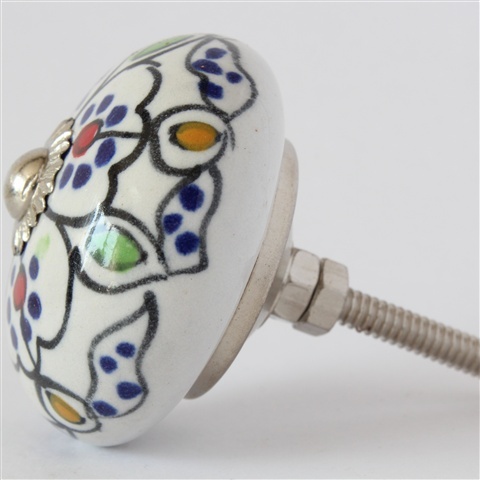 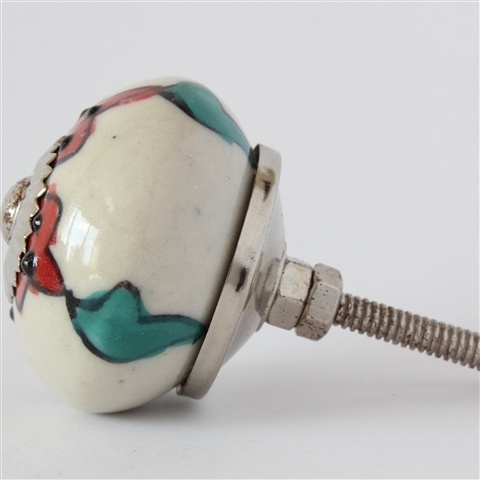 Intricate, Northern African feel...please note this is a flatter much bigger knob than the rest. 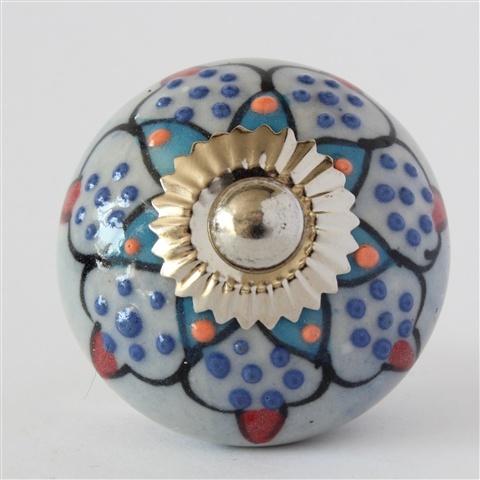 This section ends with maybe its most impressive of the lot. 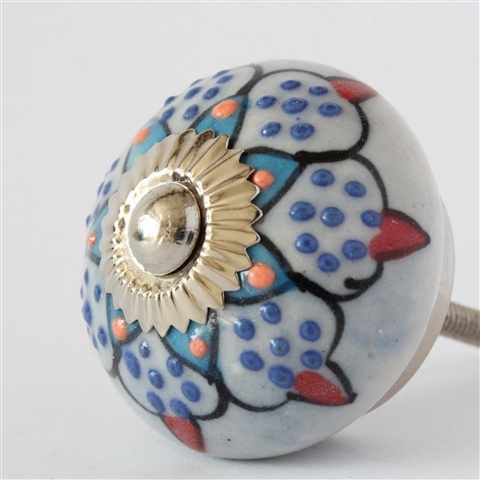 Blue again, amazing this hand painting.